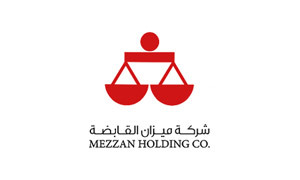 Mezzan Holding announces Q1 2015 financial results, reports 24.8% rise in net profit and 10.6% rise in revenue – Mezzan Holding Co.
Kuwait, June 01, 2015 — Mezzan Holding KSCC, one of the largest manufacturers and distributors of food, beverage, FMCG and pharmaceutical products in the Gulf, today announced the company’s financial results for the first quarter (Q1) of 2015, reporting KD52.9 million in revenue, up 10.6% from Q1 2014, and KD5.5 million in net profit, up 24.8% from Q1 2014. Mezzan Holding is currently in the final stages of listing on the Kuwait Stock Exchange following an oversubscribed secondary offering that was concluded on May 12 of this year. In the UAE: KITCO, a fully-owned subsidiary, completed the construction of a new Kettle Chips line with an annual production capacity of 2.1 million units. The company started selling Kettle Chips in the UAE in May. In Qatar: A new water bottling production line was introduced, lifted the production capacity from 23,000 bottles an hour to 56,000 bottles an hour. Mezzan Holding’s bottled water brands, Dana and Aqua Gulf, have the largest market share in the bottled water category in Qatar and the new line will further enhance the market leadership of these brands. A new contract-catering facility was launched, lifting the company’s catering capacity from 10,000 meals a day to 20,000 meals a day. The company started distributing Starbucks Coffee chilled products to cooperative and private supermarkets as part of a distribution agreement with Arla Foods. Kuwait Lube Oil Company (KLOC), a fully-owned subsidiary, inaugurated a new refinery. In Iraq: The company launched new retail consumer stores in Erbil and Dohuk. In KSA: The company completed the construction of a new warehouse to strengthen the its distribution network in the Kingdom and the Gulf region. 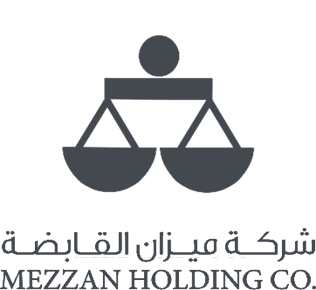 Mezzan Holding incorporates 29 subsidiaries and is operationally structured into two primary business lines: the food business line and the non-food business line. The company is the manufacturer and distributor of household brands such as Kitco chips and snacks, Country Rice, Khazan meat products, Al Wazzan Rice, Al Wazzan Canned Tuna, Aqua Gulf, Pillsbury, Green Giant, Sara Lee, Betty Crocker and Tabasco. The company is also the exclusive distributor of Starbucks chilled products, Johnson & Johnson, Dettol cleaning products, Kleenex, Listerine, Pif Paf, Huggies, Clearasil, Neutrogena, Zyrtec, Tylenol, Olfen, Mesporin, Gaviscon and hundreds of other products in Kuwait as well as Red Bull in the UAE. Food services customers include multinational fast food chains, airline catering services and large food services companies.